BreXit et FleXcit may well lead to FreXit if the truth prevails in France via via Richard North & Christopher Booker’s excellent presentation of the history & plans of the EU. 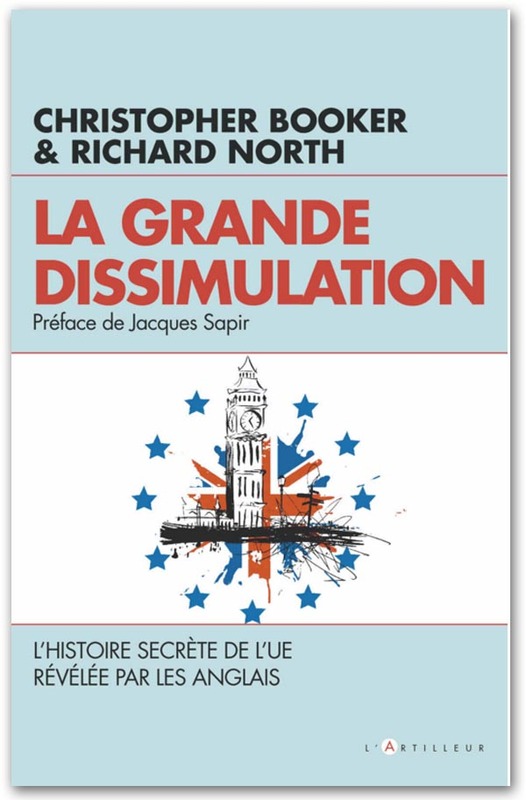 Having been responsible, almost single handedly, for getting us out of the EU with our book The Great Deception, we now move on to a tougher nut, with La Grande Dissimulation. However, with our book now out on the streets of France – and not doing too badly by all accounts – it can only be a matter of time. many congratulations for your efforts, not just in Britain but now France – will it be German, Italian, Spanish, Dutch, Greek etc next? Sorry to be so illiterate but is it a direct translation of the latest version of the English exposee? Where the Courts uphold the removal of Free Speech by a citizen of a vassal region of the EU – in that case the EU London Region! Thank you both, once again, for your unrelenting efforts for our Country and liberty – inspite of betrayal by the enemy within and scoundrels seeking to feather their own nests at the expense of Britain, our peoples and our allies. somebody send a copy to Le Pen, soon to be the next President! Well this all sounds rather upbeat,nice to hear for a change.Reminds me of the Mars advert for the European Championships in France……this is yet another invasion…though hopefully it will fare better than the team and some of the supporters over there. As an English frog (if that’s not an oxymoron) may I say this is great. Excellent, now had we better start making and practising the Longbow? Terrific documentary on that weapon some years ago, presented by one of the world’s most respected authorities on it – actor Robert Hardy. How have you had time to do this, just hope you sell more copies than UK, after two pages found the translation button !!! If enough French read it, and well they could, maybe they will understand the British view better. Great job. Very best wishes for this magnificent enterprise – just hit the streets at the right time too! Like I say … they ain’t got no chance now. “… for getting us of the EU…” ?? Surely you must mean félicitations? I just love it … secret history of the EU … as revealed by the English! Yay! It has the smell of Agincourt. Are you even hinting that it wasn’t us? Tu devrais avoir honte! I thought it was mainly me! All the same. I’m glad John Major lived to see the day. He must be so pleased. Bernard ConnolleyBreXitChristopher BookerFleXcitFreXitGL-W.Greg Lance-WatkinsGreg_L-WMarine Le PenRichard North Dr.